Are you READ-ONLY in a READ-WRITE world? — truly. This year, the World Wide Web turns 30 years old. THIRTY!!! Though most people probably only think of the internet as something relatively new, it's been around for three decades. I, personally, have been publishing online since 1992 (27 yrs), writing a blog since 2002 (17 yrs), using social networks (Friendster!) since 2003 (16 yrs) and on YouTube since 2006 (13 yrs). I'm not the image of what you think when you think "digital native," but I can confidently say that I am one. But I ALSO existed for nearly 20 years in an Analog world - one where you turned on the television for your entertainment, picked up a paper for your news, went to the library for your information (if you haven't searched through microfiche catalogues manually, you haven't lived! ), connected with distant relatives by picking up your phone (landline) and dialling them, and could only buy goods by going to the store (with the exception of the Consumer's Distributing catalogue, which allowed you to place orders for stuff over the phone). 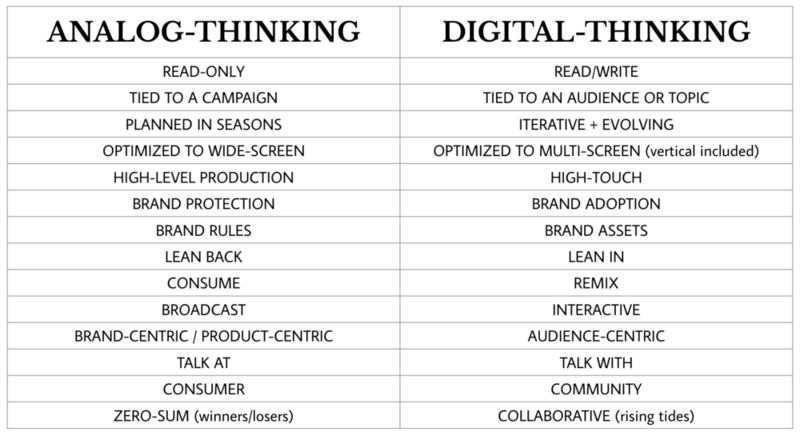 What Does Digital-First Thinking Mean? Digital is an approach, not a platform or a tool. As I talk about in my video this week, digital-thinking and digital-first matters because the audience is getting more and more used to that column of interaction. 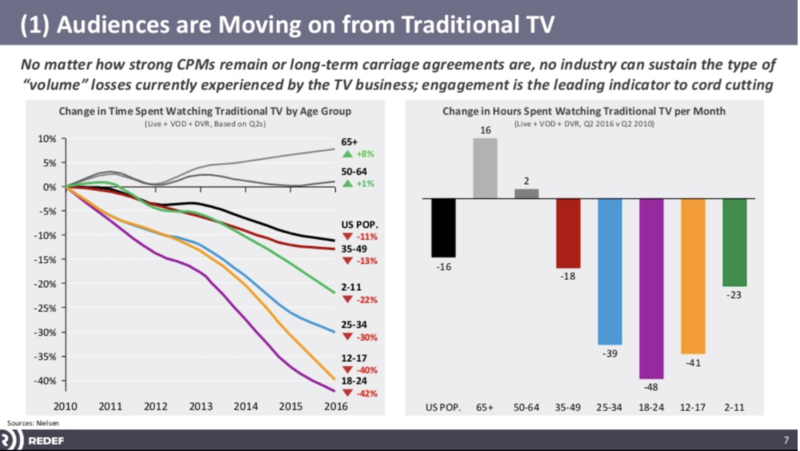 Digital platforms have brought new interfaces and approaches, which have fundamentally shifted the expectations of the audience. For example, you may think that the most important thing to focus on is the resolution of your video, but the audience is watching it on their little mobile screen. And the time and effort you put into improving that resolution took away from time and effort that could have gone into understanding the needs of the audience, so guess what? They're skipping it anyway because it's not relevant or interesting to them. Aren't you glad you spent all of that time and money on color-correction? Digital, mobile and social interfaces and interactions have definitely shifted audience perceptions and expectations, but they are about to be rendered obsolete with the emerging interfaces and interactive platforms. What happens when screens go away altogether? Already, I complain when I have to type anything. I love my voice command devices (as crappy as they still may be). I dream of the day when I don't have to dig into my bag or even look at my digital watch to get my notifications. And though it still looks a bit goofy, I'm looking forward to the day that I make a quick gesture in the air to send a message to my husband that I'm on my way. The analog way of thinking about a rigid, protected brand and lean back, read-only content is not going to fly in the emerging scenarios. Hell, what we think of as digital or mobile interfaces will likely seem backwards when the next generation takes over. It may seem trivial to a classically-trained graphic designer to ask them to create a version of a logo that is readable and looks appealing in a square or a circle (for a social avatar), but if your approach to design won't even allow for that type of flexibility, how will you survive when Sound-First branding is a must?